Panasonic on Friday announced the launch of its Eluga I7 budget smartphone in India. Key highlight of the smartphone includes the Arbo Hub, Panasonic's in-house artificial intelligence virtual assistant. Claimed to be the 'go-to' app for all solutions, Arbo Hub obtains user information to provide customised services such as cricket, news, payments, cab bookings, and more. Arbo Hub will be rolled out to Eluga I7 users via an OTA update. Panasonic Eluga I7 price in India, availability Panasonic Eluga I7 price in India is set at Rs. 6,499 for the 2GB RAM/ 16GB inbuilt storage variant. It will be available exclusively via Flipkart starting April 24 in Blue, Black, and Gold colour variants. Panasonic Eluga I7 specifications The dual-SIM Panasonic Eluga I7 runs Android 7.0 Nougat out-of-the-box. It sports a 5.45-inch HD+ (720x1440 pixels) Big View display with an 18:9 aspect ratio and a 2.5D curved glass design. The handset is powered by a quad-core MediaTek MT6737H SoC, coupled with 2GB of RAM. In terms of optics, the Panasonic Eluga I7 bears a 8-megapixel rear camera with autofocus and LED flash. On the front, the handset features the same 8-megapixel sensor with LED flash for selfies and video calling. There is 16GB inbuilt storage, expandable via microSD card (up to 128GB). Under the hood is a 4000mAh powering the internals. Connectivity options include 4G LTE, Bluetooth v4.1, Wi-Fi 802.11 b/g/n, Micro-USB 2.0, and GPS. Sensors onboard the Panasonic Eluga I7 are accelerometer, ambient light sensor, fingerprint sensor, and magnetometer. Dimensions of the handset are 148.8x70.9x9.25mm and it weighs in at 168 grams. Pankaj Rana, Business Head - Mobility Division, Panasonic India said, "Panasonic has always been focusing on delivering the ultimate mobile experience. The all new Eluga I7 with Big View display is designed to target the youth who like to keep it handy & stylish, ensuring that the users get a seamless display experience for everything they view on their smartphones. The powerful smartphone comes with 4000mAh battery and 8MP front and rear camera, both with led flash, to capture your best memories." "We are glad to launch the Panasonic Eluga I7 exclusively on Flipkart and are happy to expand our customers' choices in the budget segment. This takes us one more step towards our vision of offering the most affordable global smartphone technology to India," said Ayyappan Rajagopal, Senior Director - Mobiles at Flipkart. Panasonic has announced a new smartphone under its P-series in the country. The Panasonic P101 is the latest entrant to the Indian market with an 18:9 display which the company calls it as ‘Big View’ display. The device is priced at Rs 6,999, but telecom operator Idea Cellular is offering Rs 2,000 cashback on the device, which brings the effective price to Rs 4,999. The device will be exclusively available across Sangeetha Mobiles offline retail stores. The device offers mediocre specifications for the asking price, especially it doesn’t stand a chance against the likes of Tenor E and Xiaomi Redmi 4. But on the brighter side, Panasonic has added an 18:9 display to the smartphone. Speaking about the offer from telecom operator Idea Cellular, the telco is offering a cashback of Rs 2,000 with the new smartphone, but users will receive it after three years. Furthermore, Idea Cellular prepaid users have to make a recharge of Rs 199 every month to be eligible for the cashback. Also, Idea is offering 60GB of data with the smartphone, which will be divided to 10GB every month for the first six months. Already the Rs 199 prepaid recharge plan offers 1.4GB data per day for 28 days, and the 10GB additional data can be used on top of that. “In order to meet the needs of the trendy young users, we are now focusing on 18:9 aspect ratio Big View display smartphones and P101 is our second offering in the market with the same at an aggressively affordable price,” Pankaj Rana, Business Head – Mobility Division, Panasonic India said in a press statement. Diving into the specifications of the Panasonic P101, it flaunts a 5.45-inch Big View display with 2.5D curved glass on top. At the heart of the phone, we get a quad-core MediaTek MT6737 SoC, clubbed with 2GB of RAM and 16GB of onboard storage. There’s a microSD card slot as well for storage expansion up to 128GB. The device runs Android 7.1 Nougat out of the box, and Panasonic did not reveal its plans of providing Android 8.0 Oreo update to the smartphone. The P101 rocks an 8MP rear camera with autofocus and LED flash support; A 5MP camera with LED flash adorns the front. The device weighs 145grams and measures 9.1mm in thickness. It has a 2500mAh battery and offers 4G LTE, VoLTE, Wi-Fi, GPS, Bluetooth and has all the sensors such as the Accelerometer, Proximity sensor, Compass, and Ambient light sensor. Sadly, it lacks a fingerprint scanner. 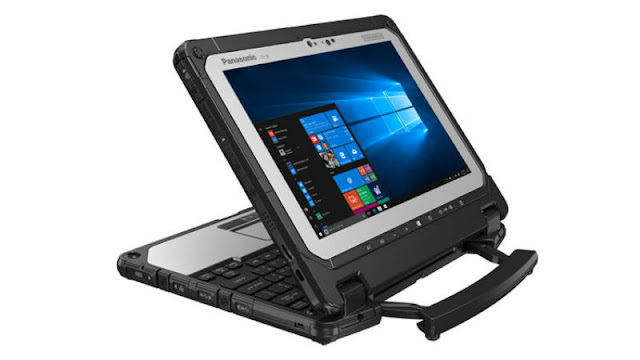 Panasonic has unveiled the updated version of its Toughbook 20 rugged 2-in-1 lightweight laptop. The company had first introduced the Toughbook CF-20 laptop 3 years ago and launched it in India in 2016. Fast forward to 2018, the updated Toughbook 20 retains the same 10.1-inch display in a convertible tablet form factor. However, Panasonic has upgraded a few things, as the new version comes with a faster processor and promises better battery life. First up, is the Intel Core i5-7Y57 vPro processor featuring a Turbo Boost of up to 3.3GHz, that Panasonic has introduced in the 2018 update. The laptop comes with 6GB or 8GB RAM and 256GB of SSD storage, expandable up to 512GB. It has an Intel 615 HD graphics card too. Users will also another option of a model with Intel Core M5-6Y57 vPro processor with Turbo Boost up to 2.8GHz and an Intel 515 HD graphics card. This variant ships with a 128GB SSD. Further, Panasonic has packed a 'bridge battery' in the Toughbook 20 to let users swap batteries without having to turn off the laptop. Additionally, there is an optional second battery that can be inserted into the keyboard to double battery life (up to 17 hours). The new Toughbook 20 comes with Windows 10 Pro by default. However, it will offer Windows 7 Professional as an option on models with Intel's Core m5-6Y57 processor. Additionally, the new Toughbook 20 model will come with an integrated digitiser alongside a touchscreen, an infrared webcam, and an 8-megapixel rear-facing camera. Other specifications include an optional 4G LTE connectivity with eSIM technology, which is understandable since the company is pitching the product for environments like field services, utilities, oil and gas, transportation and logistics, healthcare, insurance, public safety, and defence. It is also is also millitary-grade MIL-STD-810G certified and is IP65 certified against dust and water. The Panasonic Toughbook 20 is currently available for purchase from authorised Panasonic resellers at an estimated price starting around $3,099 (roughly Rs. 1,99,100). 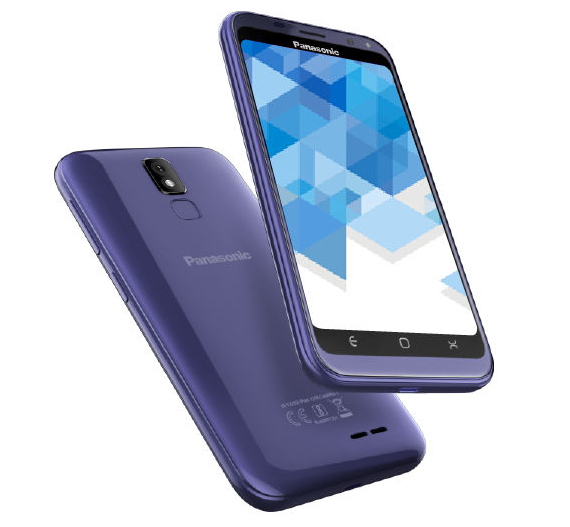 Panasonic India has silently introduced a new entry-level smartphone in the country today, namely, the Panasonic P100. This basic smartphone comes with 4G LTE and VoLTE support. Also, it packs a fingerprint scanner at a price point of Rs 5,299. For the asking price, the Panasonic P100 competes with the likes of Xiaomi Redmi 5A (first impressions) and Tenor D (first impressions). The Japanese company also stated that the new phone would be exclusively available on e-commerce portal Flipkart starting tonight. 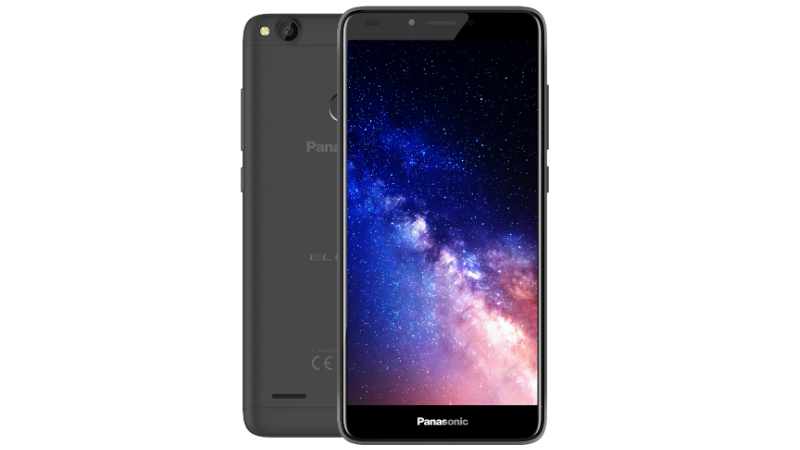 Panasonic P100 Specifications and Features Diving into the specifications of the smartphone, it packs a 5-inch HD display with a resolution of 1280 x 720 pixels. Interestingly, the display also packs a 2.5D curved glass on top and is protected by Corning Gorilla Glass technology. At the heart of the phone, there’s a 64-bit quad-core MediaTek MT6737 SoC with all the four cores clocked at 1.25GHz. Graphics on the phone will be taken care by Mali-T720 GPU, and the phone comes in two variants- one with 1GB of RAM and the other one with 2GB of RAM. Both the models offer 16GB of internal storage which can be expanded up to 128GB with a microSD card. The device boots Android 7.0 Nougat out of the box and has a fingerprint scanner placed at its rear. Cameras in the smartphone include an 8MP rear camera and a 5MP front-facing camera. Both the sensors are accompanied by an LED flash, which is a good thing to see on a budget smartphone. 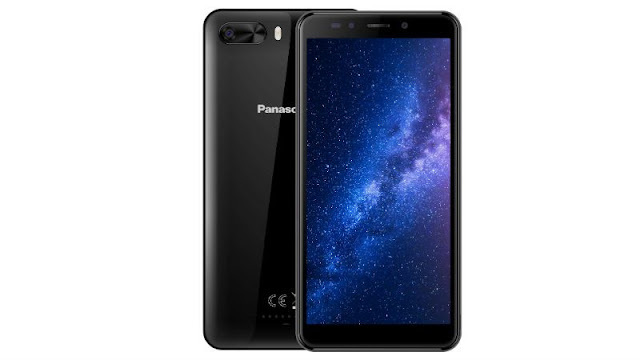 Connectivity options in the Panasonic P100 include 4G LTE, VoLTE, Wi-Fi 802.11 b/g/n, Bluetooth, GPS, and a micro USB port is present at the bottom for data transfer and charging. Lastly, the phone is backed by a 2200mAh battery. Panasonic P100 Pricing, Availability and Launch Offers Alongside the P100 smartphone, the company also introduced an interesting offer called Gold Utsav consumer offer. Upon purchasing the P100 smartphone, consumers will get a coupon code with which they can win up to 10 grams of Gold. The Panasonic P100’s 1GB of RAM variant costs Rs 5,299, while the 3GB of RAM variant carries a price tag of Rs 5,999. Panasonic stated that it would be selling the device in three colour options- Blue, Black, Gold and Dark Grey. 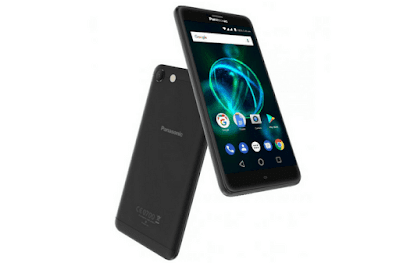 Panasonic has added a new device to its P-series called as P55 Max and this handset has been launched for a price of Rs. 8499. This budget friendly device sports a massive 5000mAh which will be the selling point of the handset. The P55 Max will be the sibling of the P55 and will go on sale exclusively via Flipkart, and it will come in Matte Black and Gold color variants. The device has a metallic body with curved edges giving it a royal look. The onboard memory of the P55 Max is limited to 16GB which can be extended further upto a maximum of 128GB via microSD card slot. There is a 13MP rear facing camera with quad-LED flash which is accompanied with 5MP front facing camera for selfies and video calls. The device supports 4G VoLTE compatible which lets its users use Jio services also. Other connectivity options include Wi-Fi 802.11 b/g/n, Bluetooth v4.0, GPS, A-GPS and few more. Coming to the specification, the P55 Max will be featured with a 5.5-inch 1280 x 720 pixels display with 2.5D curved glass on the top. The handset will come out of the box with Android 7.0 Nougat operating system and might also get further updates in the future. Under the hood, there is a quad-core MediaTek MT6737 64-bit processor with a clocking speed of 1.25 GHz coupled with Mali-T720 GPU and 3GB of RAM. The handset measures 152 mm x 77.6 mm x 8.7 mm and weighs 180 grams. The power button and volume rockers are placed on the right, and the device misses the finger print sensor. The handset is now available on Flipkart exclusively, but nothing is mentioned if it will be available online later. Are you going to get this device? Comment in the section below and stay tuned to PhoneRadar for more news and updates.